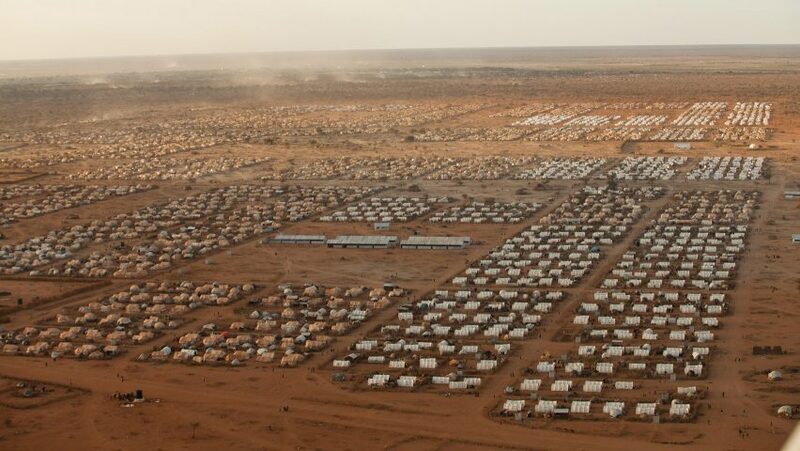 Humanitarian experts propose refugee camps into enterprise zones called "Refugee cities"
Refugee camps should be rebadged as cities and turned into enterprise zones so inhabitants can set up businesses and build their own infrastructure, according to a new report. Called Refugee Cities, the report argues that existing aid strategies have failed, with refugees preferring to avoid the camps due to the lack of opportunities they offer. Instead, by modelling them on special enterprise zones (SEZs) elsewhere in the world, they could benefit both the refugee and the host populations, as well as giving inhabitants useful skills for their eventual return to their homelands. "Modelled after the most successful special economic zones in the world, refugee cities work within political realities to create jobs for refugees and their neighbours, while achieving a return for investors," says the report. "Surrounding communities would enjoy new investment and infrastructure, and governments would welcome refugees as a benefit rather than a burden." SEZs are designated areas within a country's national borders that operate with different business and trade laws, enabling nations to pilot ideas without countrywide changes. Successful SEZ programmes have provided ways for countries to implement beneficial reforms and boost economic growth. Since the 1980s, SEZs in Chinese cities like Shenzhen have enabled the country to introduce free-market policies. US-based NGO Refugee Cities was founded by Michael Castle Miller, who said the idea would benefit both refugees and the host country. "The aims of the project are to expand opportunities for migrants and to thereby allow them to find dignity, meaning, and a social and economic future," Miller told Dezeen. He added that Refugee Cities aimed "to provide a model under which host countries can benefit from refugees' presence; to deliver a financial return for investors; to make international assistance more effective and self sustaining; and to provide refugees with the material, knowledge, and psychological resources to rebuild their home countries when they are able to return." Miller volunteered with refugees in the US and told Dezeen that the experience encouraged him to find a way to address the refugee crisis. He worked as a legal and policy consultant on SEZs, before collaborating with leading authoritarian humanitarian aid Kilian Kleinschmidt to design the special-status cities as an alternative to refugee camps. According to the Refugee Cities report, 65.3 million people were displaced as of the end of 2015, while a rise in global inequality, labour shortages, population growth, mobility and climate change is set to make the situation more extreme posing further strain on host countries. "Lebanon's one million Syrian refugees amount to a quarter of its population," the report states. "Jordan’s 660,000 refugees are straining its housing market and water resources." "Ninety per cent of refugees in these countries are living below the poverty line and about half are under the age of 15.2. Meanwhile, migration to Europe is straining the fabric of the continent's political union." The report also states that current "inefficient aid-based approach" like that provided by the UNHCR, perpetuates the reliance on handouts rather than responding to the aspirations of their inhabitants and utilising their skills and talents. "Despite their best efforts, the resources of the UN High Commissioner for Refugees (UNHCR) consistently fall short of its requirements to meet peoples' basic needs, let alone to achieve any long-term development goals," says the report. It also highlights how the lack of opportunity in the camps force refugees to flee and find work illegally in their host country. A process that posing a drain on society and prevents stemming the flow of undocumented migrants. The refugee cities report follows a rising awareness that the "top-down" strategies currently dealing with refugee situations are not working. Earlier this year, the UNHCR began working with MIT's D-Lab to develop design strategies that enable refugees to solve their own problems rather than relying on solutions provided by aid agencies. UNHCR also ran the Refugee Challenge for the What Design Can Do conference in Amsterdam. The design competition sought ideas "for accommodating, connecting, integrating and helping the personal development of refugees". In an interview with Dezeen last year, Kleinschmidt, a former UNHCR high commissioner, described the camps as storage facilities for people and called for an overhaul of aid system. "We're doing humanitarian aid as we did 70 years ago after the second world war," he said. He described how refugees at the vast Zaatari refugee camp in Jordan took things into their own hands, hacking the electricity supply to power businesses, erecting fountains and even building swimming pools. Architecture undergraduate Sophie Flinder also noticed how camps transformed from "a non-place to a place" as inhabitants, realising they would be there for a long time, started turning a squalid transit camp into a permanent home. Millar plans to initially set the cities up in unused buildings near refugee settlements to be used as business incubators. Eventually they will become urban areas with uses ranging from residential, office, factory, retail, social services, public transportation, parks. Refugee Cities has already gained support from major international financial institutions like the World Bank, who have already committed to invest in refugee-inclusive SEZs in Jordan and Ethiopia. Miller and his team are currently researching locations with potential to attract businesses and more foreign investors.